Water Does Wonders | Healthier Children and a Healthier Community. Together, we can sip less sugar. Sugary drinks are everywhere. Pop, fruit punch, energy drinks, sports drinks and many other drinks have a lot of sugar. Too much sugar is not good for a child’s health. The extra calories in sugary drinks can add up quickly. This puts children at higher risk of high blood pressure, heart disease, type 2 diabetes and cancer. Together, we can drop the pop, drink water, offer better options, and create communities that sip less sugar. Join the movement! Contribute to healthier children and a healthier community. Choose your pledge level—Gold, Silver or Bronze. Complete the pledge form for families or organizations. Receive a certificate and tools to help you take action. Congratulations! When it comes to sugary drinks, less is best. Having daily 600mL pop adds up to drinking about 23kg of sugar (92,000 Calories) in a year. 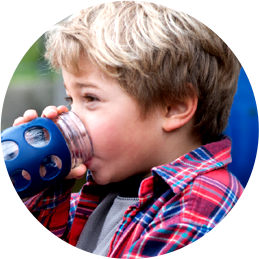 Sugary drinks contain empty calories with little to no nutritional benefit. Choose water and save money. Switch to tap water instead of purchasing sugary drinks. 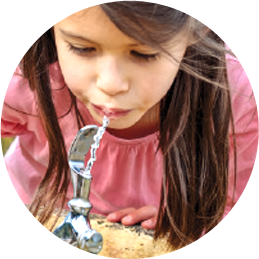 The Water Does Wonders website was created by Ontario Dietitians in Public Health (ODPH) in partnership with 11 Healthy Kids Community Challenge communities. 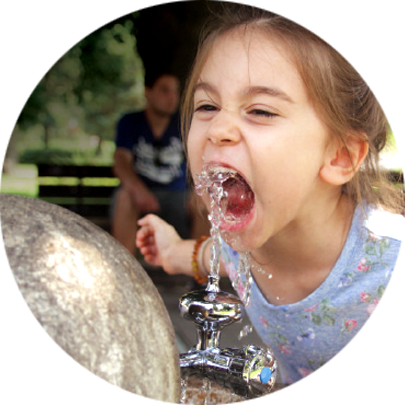 The Water does Wonders website complements the Sip Smart!™ Ontario school-based program developed by ODPH. To learn more about Sip Smart!™ Ontario visit brightbites.ca.